Great tones and I like the ambiguity about size – it could ice cubes or the size of a paving slab. The little line of bubbles is nice. Nice blue tones and another lovely abstract, nice one. Although repetitive, it’s still a very good abstract Andy. 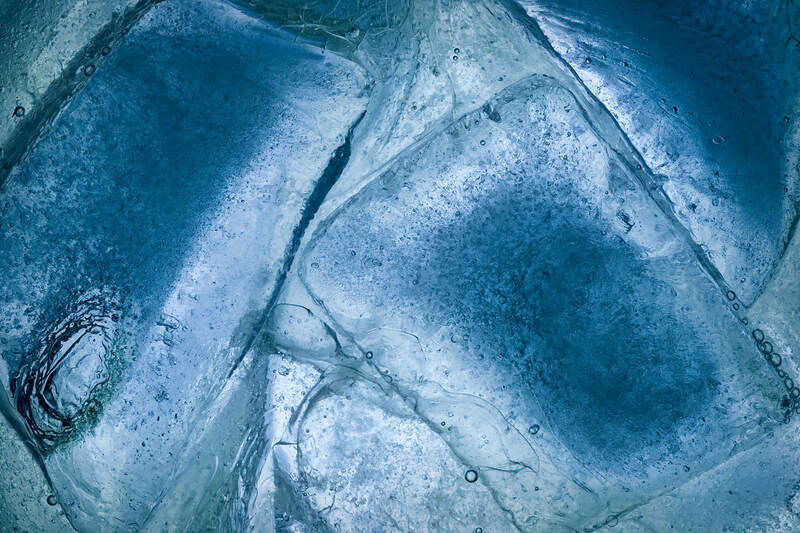 Again, detailed structure patterns and specific colour bring to life this nicely framed ice abstract. In images of this nature and subject matter suspension of animation is always a great visual quality, and you’ve got that with your image.